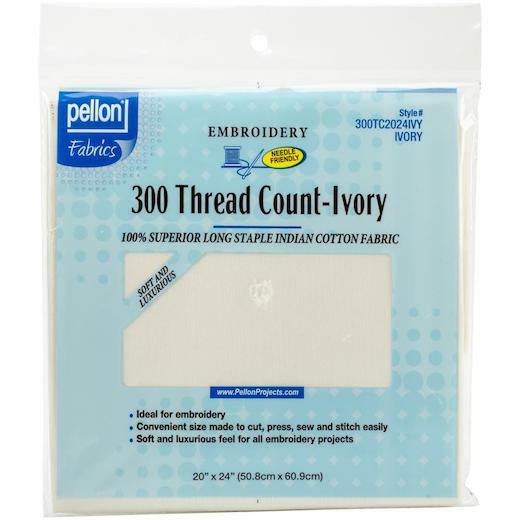 Pellon 300 Thread Count Cotton Fabric For Embroidery. Ideal for baby bedding, pillows and more. Fabric is made of deluxe 100% natural long staple Indian Cotton. This package contains one 20x24 inch 300 thread count cotton fabric.